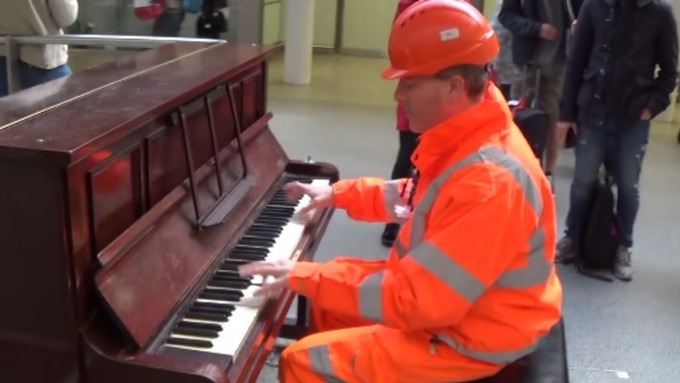 Footage of a man dressed as a traffic marshal dazzling commuters at St Pancras station with his piano playing skills has sparked a debate into whether it is a hoax. 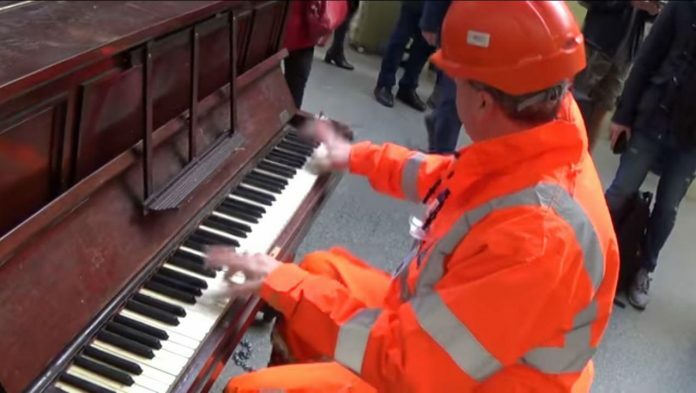 The video, uploaded onto Youtube earlier this month, shows a workman dressed in an orange uniform playing the ‘Boogie-woogie’ on a public piano in front of amazed passers-by at the busy station. The minute-and-a-half clip drew praise on the internet, with many praising his talent. The clip has been viewed almost 750,000 times. But some people were less than impressed with the video, accusing the clip of being staged by a professional piano player. It appears the talented musician may have been Brendan Kavanagh, known as Dr K, a prolific Youtuber who posts piano tutorials online and has played in St Pancras before. He uploaded the clip from his official channel, but claimed the man was a workman on his lunch break, despite the stark resemblance. However, Many viewers jumped to the defence of the piano player, claiming to believe the video is real. Share this awesome story on facebook with your friends and family.